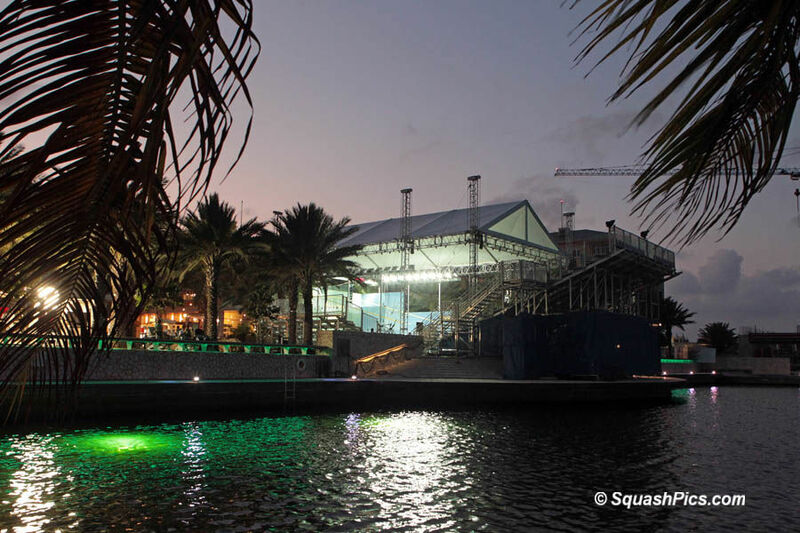 Australian Donna Urquhart continued her giant-killing run in the Cedrus Investments Women’s Cayman Islands Open when she upset fifth seed Madeline Perry to reach the last four of the WISPA World Series squash event in its third year at Grand Cayman in the Cayman Islands. In a match she described later as “definitely my best win”, the 24-year-old qualifier from Brisbane recovered from two games down – and saved two match balls – to overcome Perry, the new world No3, 6-11, 11-13, 11-8, 12-10, 11-9 to reach the biggest semi-final of her career. It was a bruising marathon encounter which took 72 minutes to resolve – with both players collapsing onto the floor at the end of the match. “That was horrible,” admitted Perry to www.squashsite.com afterwards. “I was wrecked after two games to be honest. I took it early and put her under pressure in the first two games, but I couldn’t keep it up. I don’t know how I moved at all in the fifth! Urquhart, coached between games by compatriot Kasey Brown, admitted that she didn’t have the energy to think, let alone feel nervous. “I’ve never played on a court so hot – I should have weighed myself before we started, I probably lost 5 kilos on there tonight, my dress was so heavy it was weighing me down! “After two games Kasey came to talk to me and I told her ‘I can’t do this, it’s just too hot, I can’t breathe, I can’t think’. “I was dying but she seemed to be ok, I was asking myself ‘how is she doing this’, then when she talked to Dan at the end I knew she was hurting as much as me, but at the time I didn’t know that. Urquhart now has the ultimate test when she meets defending champion Nicol David, the world number one from Malaysia who is looking for her third successive title. In their 29th meeting on the WISPA World Tour since February 2000, the top seed beat Dutch qualifier Natalie Grinham 11-4, 8-11, 11-8, 11-4. It was their first meeting since the pair contested the 2009 World Open final in September 2009, when Grinham was ranked two in the world – and since when she has celebrated the birth of her first child. Natalie’s older sister Rachael Grinham claimed the speediest route through to the semi-finals with an 11-7, 11-6, 11-7 win over English qualifier Sarah Kippax in 28 minutes. The 34-year-old third-seeded Australian will now face another English opponent Jenny Duncalf, the No2 seed who had to come from a game down to get the better of France’s seventh seed Camille Serme 6-11, 11-6, 11-4, 11-7 in 53 minutes.